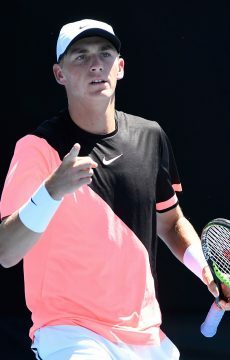 Young Aussies Marc Polmans and Max Purcell, regular doubles partners, won their first-round qualifying matches on Wednesday to advance at the US Open. Teenager Jaimee Fourlis also triumphed. 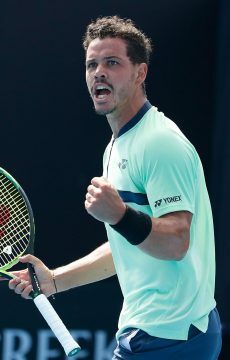 Marc Polmans, Max Purcell and Jaimee Fourlis joined fellow Australians Thanasi Kokkinakis, Alex Bolt and Arina Rodionova in the second round of US Open qualifying after notching wins on Wednesday. 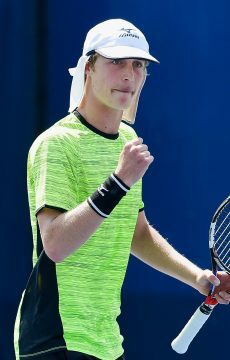 Polmans recovered to beat Germany’s Oscar Otte 3-6 6-4 6-1 while Purcell snapped a five-match losing streak with a 6-3 6-4 victory over Blaz Rola. Polmans next takes on American Ernesto Escobedo, who upset No.1 seed Jozef Kovalik in a third-set tiebreak. Purcell, meanwhile, tackles 28th seed Christian Ruud, who brushed aside Andrea Arnaboldi for the loss of just four games. 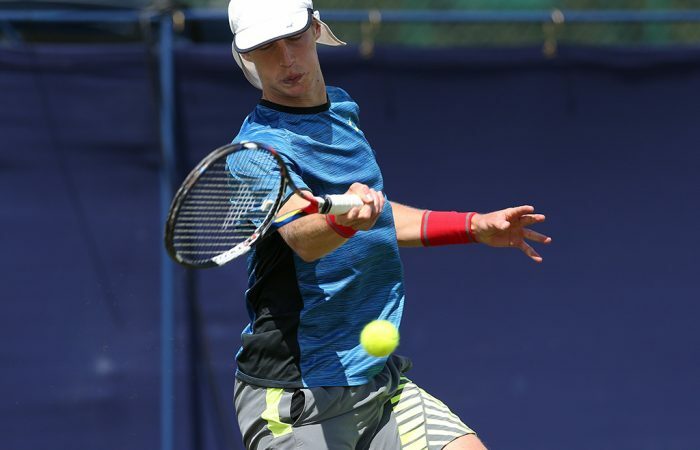 Polmans and Purcell last week combined to reach the doubles final at the Vancouver ATP Challenger. 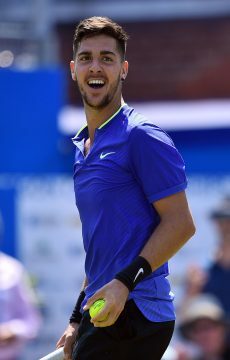 In the women’s draw, Fourlis remained composed during a rain-interrupted match to see off Brit Harriet Dart 6-2 7-5. 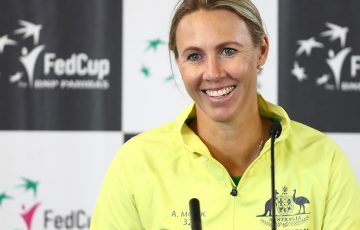 The Victorian arrived in New York having lost her last two matches but rejoined the winner’s circle in impressive style against an in-form opponent who had gone 15-8 since the beginning of May. 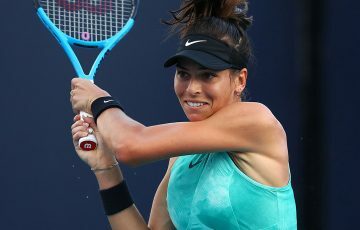 Fourlis next faces sixth seed Olga Danilovic, the 17-year-old Serb who recently won her first WTA title in Moscow. Earlier, Olivia Rogowska’s quest for a spot in main draw ended in the first round, as did Destanee Aiava’s. 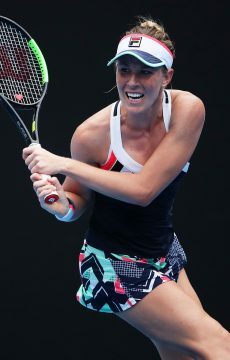 The 27-year-old Rogowska, ranked No.159 raced to a 3-0 lead in the first set against Brazilian Beatriz Haddad Maia before losing a tiebreak and being broken three times on her way to a 7-6(3) 6-1 defeat. 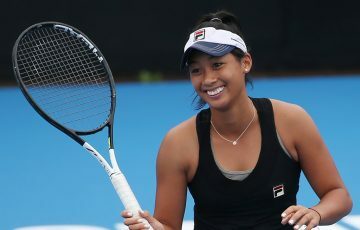 Teenage countrywoman Destanee Aiava lost 6-4 6-4 to Serb Bojana Jovanovski Petrovic. 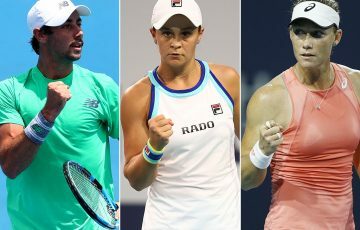 Second round matches will be played on Thursday in New York, with Polmans, Purcell, Kokkinakis, Bolt, Rodionova and Fourlis all in action.